Butter an 8-inch square baking dish. Slice peaches and place into the dish. Sift together the flour, sugar, salt, and cinnamon in a bowl. Using a pastry blender, cut butter into flour mixture until it looks like coarse meal. 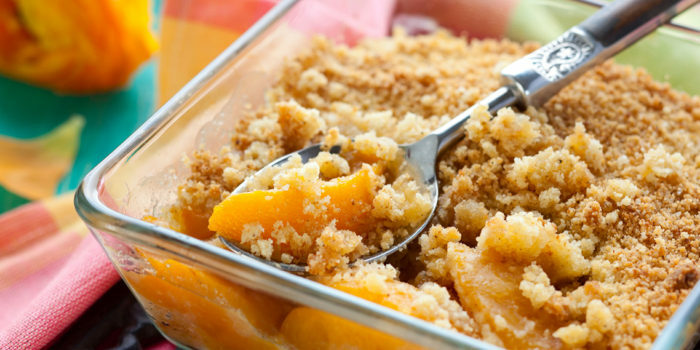 Sprinkle crumbs evenly over peaches in baking dish. Bake for 45 to 50 minutes until the topping is golden brown and peaches are tender. Serve warm with milk, whipped cream, or vanilla ice cream.